You've seen the next-generation coupe SUV in photos. Now watch it on video. BMW is getting ready for a busy 2019. Aside from keeping its newly-launched cars in check for its selling year, a lot of upcoming cars are on underway. 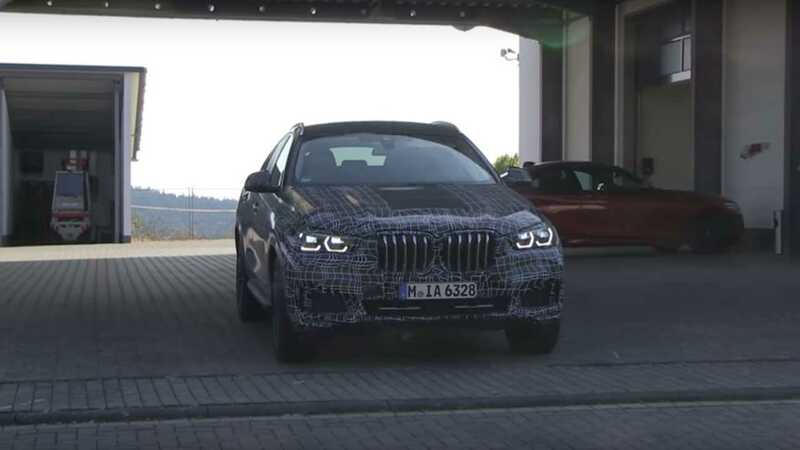 There's a new X1, while a revamped version of the 8 Series Gran Coupe was also seen prodding around like it isn't a new car, if not for its minimal camo wraps. This time, however, it's the X6 coupe-fied SUV's time to shine. The next-generation X6 was seen in its regular road-testing and the best part is, it was caught on video. Admittedly, though, there's not much to report on the new X6 if we have to base it on its most recent appearance a few months ago. The one caught testing here seems to be the same M Performance trim based on the big air intakes on the fascia and the equally-huge twin exhausts at the back. Aside from those, we're happy to report that the reworked rear end is still intact, which heightened the supposed appeal of the X6. But that could be an overstatement because we all know that coupe SUVs aren't for everyone. Nevertheless, a win is a win, as this is an improvement from the outgoing model. The upcoming X6 is scheduled to be launched sometime next year as a 2020MY in the United States. It's believed to have the same power plant as what the M850i xDrive has – a twin-turbo 4.4-liter V8 engine. On the other end of the spectrum, an M version will come after the regular X6s and will be sold as a 2021MY. In the meantime, let's keep our eyes peeled and watch out if BMW will drop some more info about the next-generation X6.